Red is the color of love and admiration, and if an associate, colleague, or partner in your organization has earned your admiration, we can help you show your gratitude. Give that admirable person our Red Glass Plaque! Capable of standing vertically or horizontally, this remarkable award may be displayed on any desk, bookshelf, or flat surface. The square, silver frame holds a ¼” thick pane of red glass, and our gifted graphic artists will engrave any artwork you have into the glass. 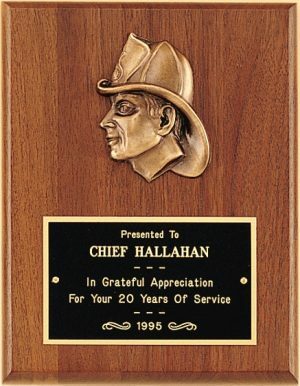 Engraving up to eight lines of type is included in the price, and prices start at $27.90 for the smallest size plaque. We offer three sizes from 6” x 8” (G2711), 7” x 9” (G2712) and 8” x 10” (G2713). Our plaques usually ship within three days of receiving the order, so we can get your order processed within a week. The Red Glass Plaque is the perfect way to give a deserving person the red-carpet treatment! Place your order today!